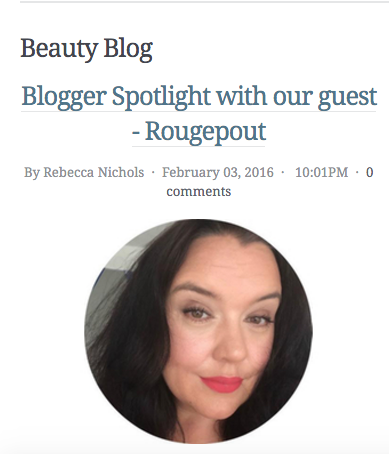 Rougepout Beauty: Interview with Bee Good - I am buzzing! Interview with Bee Good - I am buzzing! Rarely do I blow my own trumpet, to be fair I don't own one and my red lipstick would get all over the mouth piece! However this is a joint blowing of an instrument of your imaginative choice, because the lovely buzzy people of Bee Good (you get this post is heavily pun laden), asked me for an interview. They have a wonderful company blog that features all manner of bee-guiling bee and product related matters including their Blogger Spotlight section and from today it's ME! (my mother would have been so proud). Thank you to Bee Good and Lou for asking me to participate.